This month I've been getting back into using a primer again, my favourite is the Glo Minerals Face Primer* the consistency of this works really well on my dry skin, other primers tend to dry my skin out but this one doesn't. The formula is more like a gel and it makes my skin feel so much smoother and makes my foundation apply so much nicer. I've been using the Burt's Bees Pomegranate lip balm religiously recently, I'm not a huge fan of the original Burt's Bees lip balm as it makes my lips look really white and odd and I didn't feel like it really did anything! However this one is really moisturising and lovely to use! After running out of the other face powders I usually use, I found the Rimmel Stay Matte Powder in my collection and started using it, I was quite surprised at how much I like it as even though it's super cheap it's actually a really lovely powder! It isn't cakey or drying at all and it adds a little bit more coverage on top of my foundation. I recently rediscovered my Rimmel Eyebrow Pencil, this used to be the only brow product I used however I haven't used it in so long! I still use Mac Omega eyeshadow but to get a more precise brow I also use this pencil afterwards. It's the perfect colour for my blonde brows, I usually struggle and end up with a shade too ashy, too dark or two red but this is perfect! Finally I have been loving the Soap and Glory Liquid liner, I have been using this everyday for about the past two months! It's the best liner I have used! You have a lovely blog Georgina! 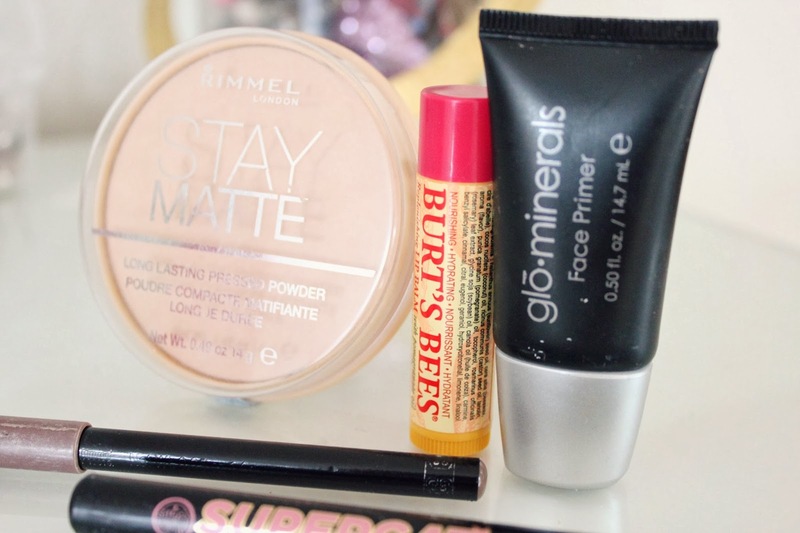 I loveee the Rimmel powder! I must have bought it at least 3 times now, and smashed at least 1! 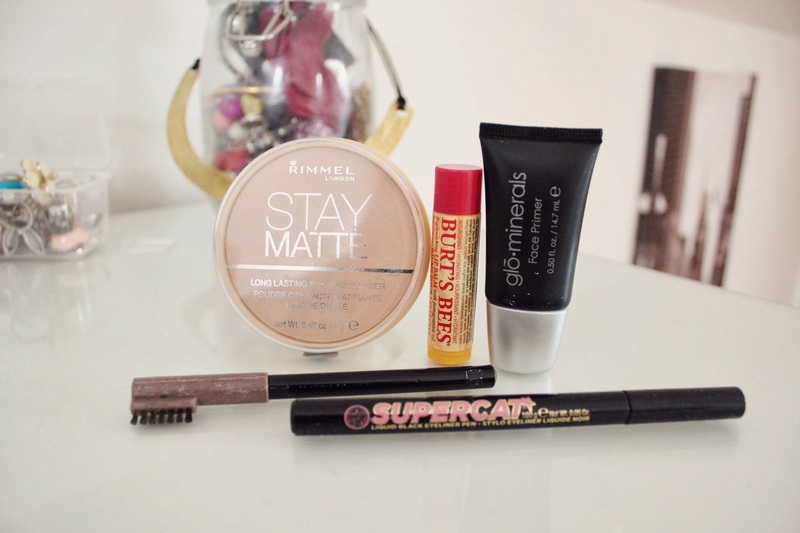 I also love the supercat liner- either this one or the topshop one is definitely my favourite and I think they are both much better than the l'oreal super slim a lot of people rave about!